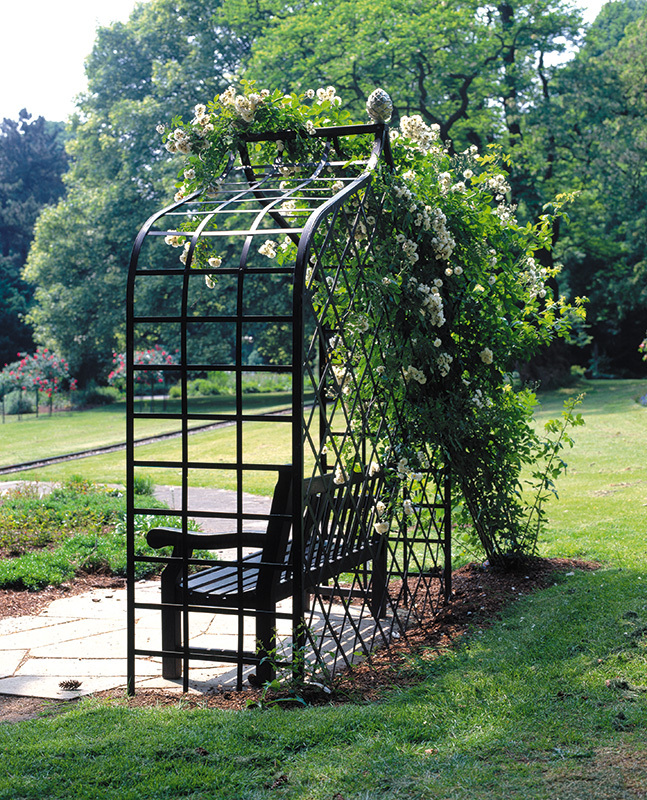 The Victorian Rose Arbour is welded from 0.79” (2 cm) and 1.18” (3 cm) steel bands, hot-dip galvanized, and powder coated in black. Two pinecone finials cast in aluminium. Other colors available on request. 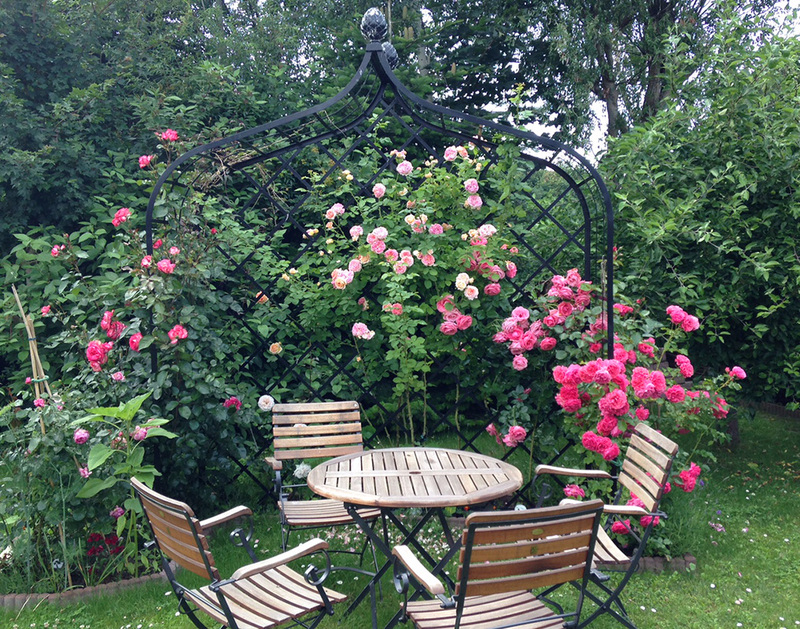 You will need a specialist contractor (hard landscaper) to install the rose arbour in a suitable place using the anchor supplied with the product. 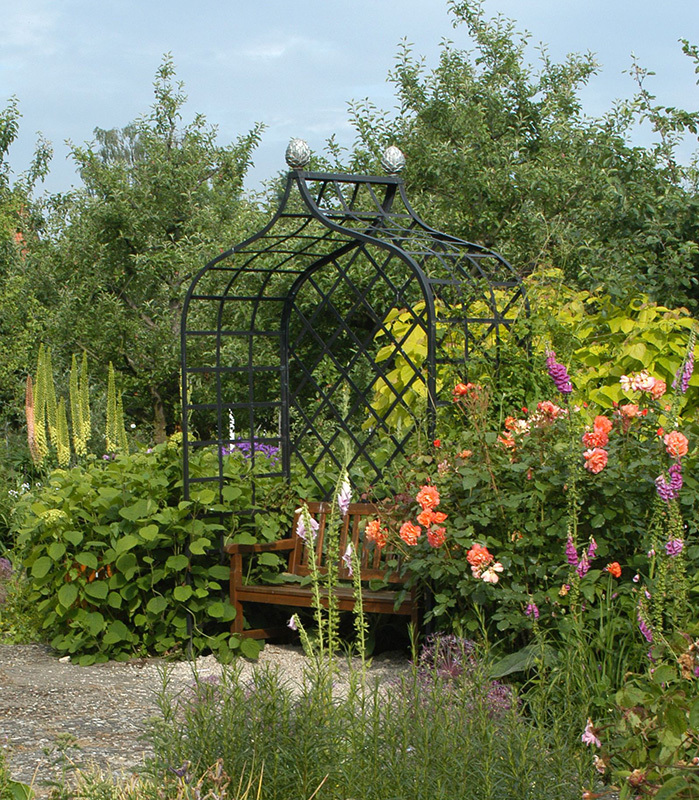 Alternatively, it is possible to attach the arbour to a secure base, e.g. 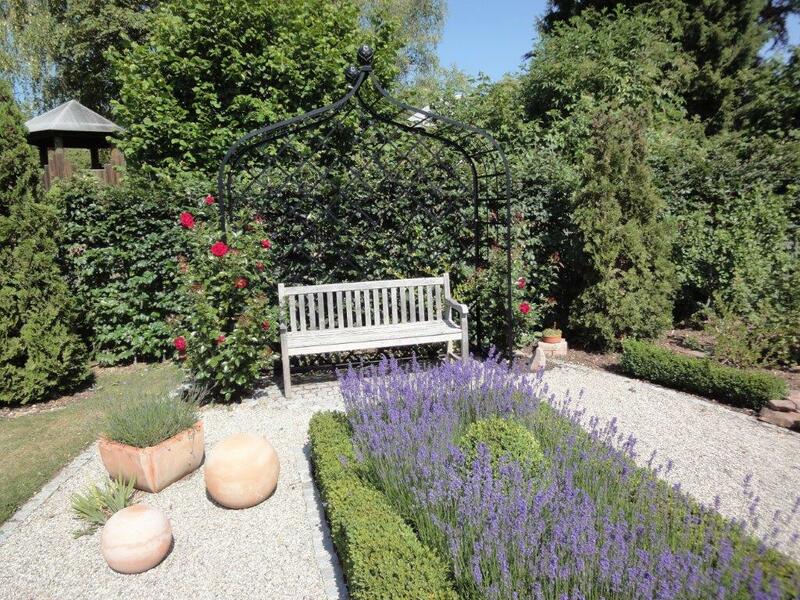 to a stone or concrete plinth. 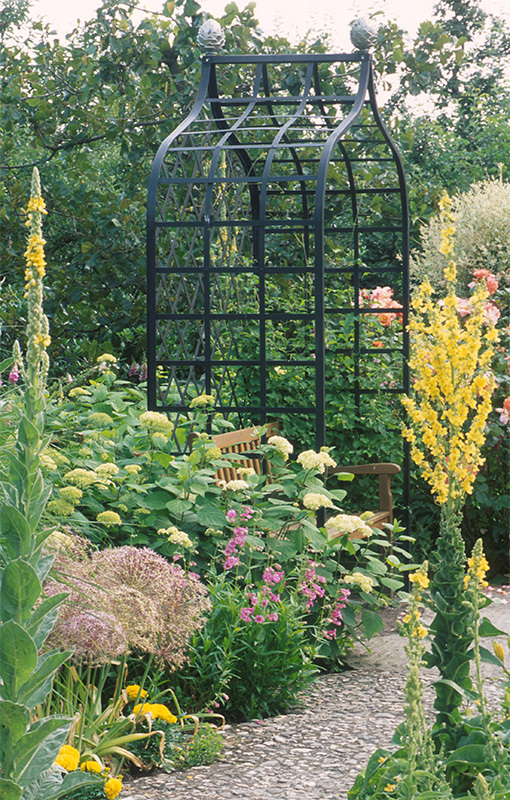 Included in the price are six anchors for the large arbour (R6) and five anchors for the small arbour (R7). Delivery takes place in larger parts with our truck. 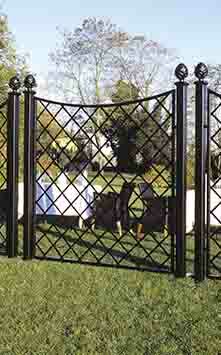 Bespoke items possible, made to your size and requirement. 10 years guarantee against rust. 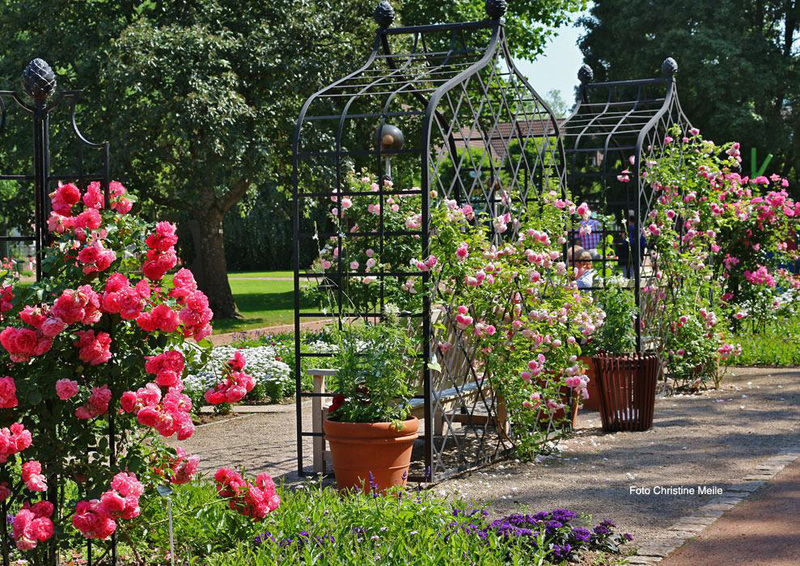 Elegance, simplicity and stability are the hallmarks of our Victorian Rose Arbour, making it the focal point of any garden – a perfect rendezvous for lovers or a refuge from the bustle of daily life. 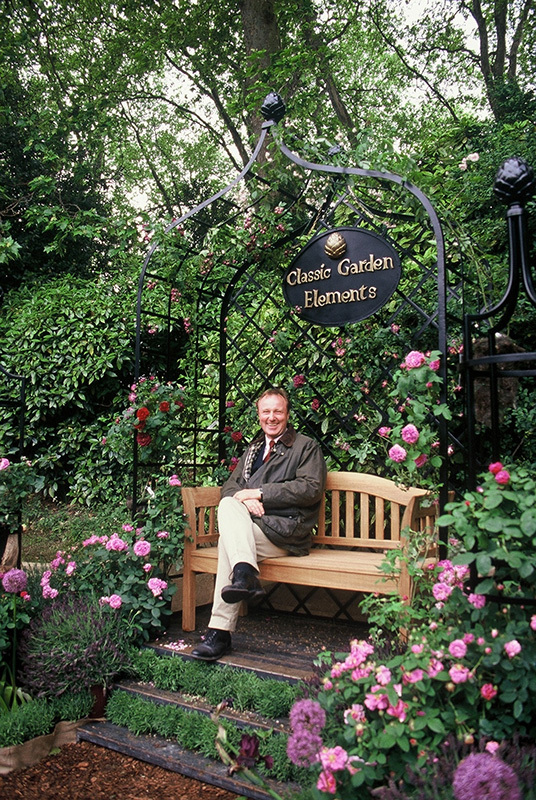 Why not unwind under a canopy of fragrant roses and honeysuckle? 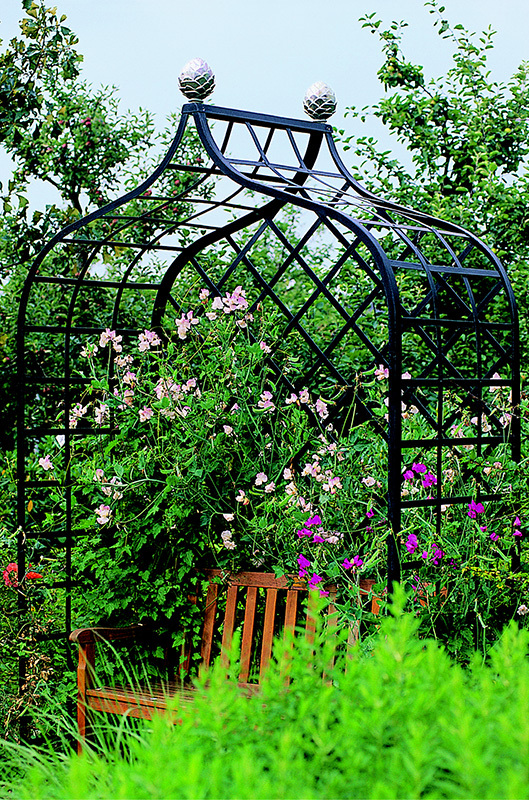 Or give your favourite garden seat a flowering frame. 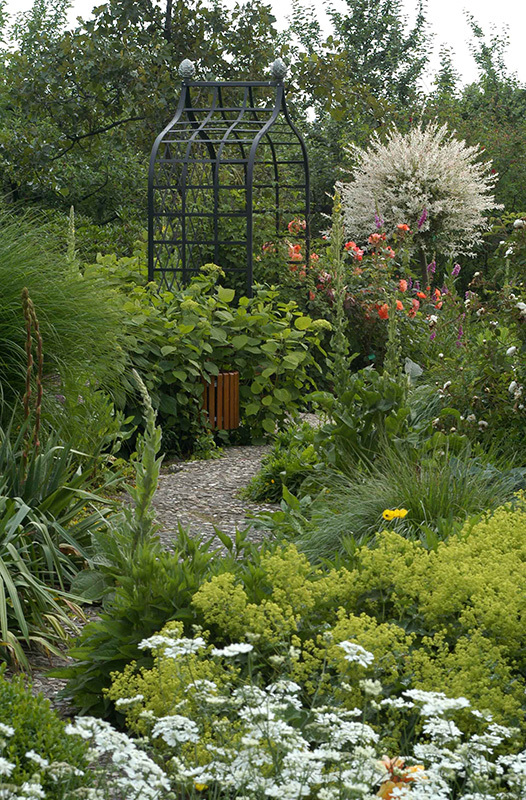 Gardens of all sizes need vertical as well as horizontal stimuli to reinforce our experience of three-dimensionality and depth. 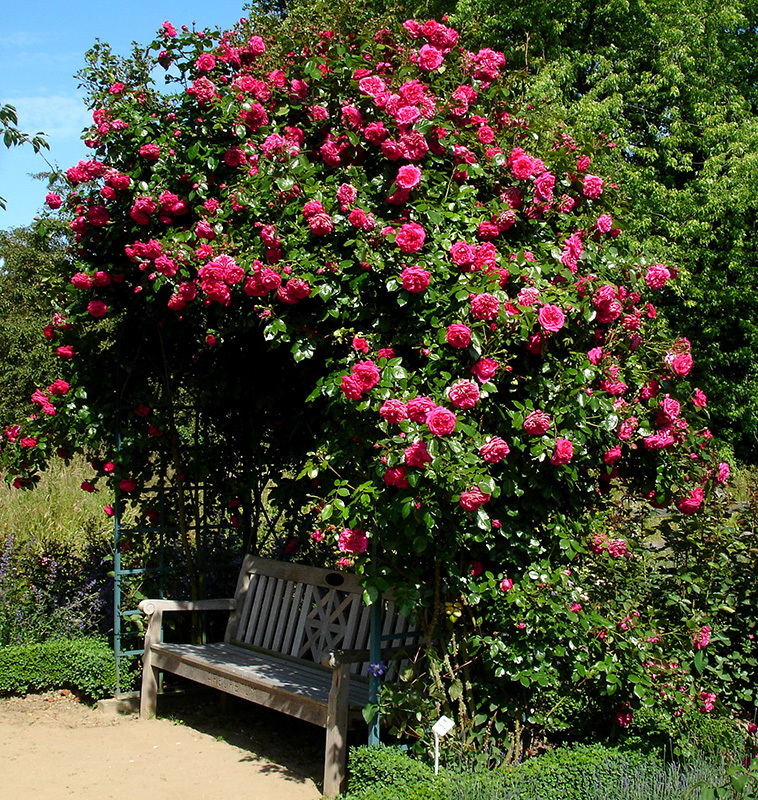 Arbours take up very little ground space, and yet they are tall enough to provide the perfect support for climbing and rambling roses with their extravagant clusters of blooms. 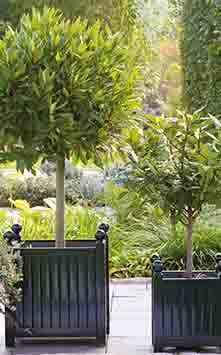 It is true that ramblers look sensational when growing freely up trees. 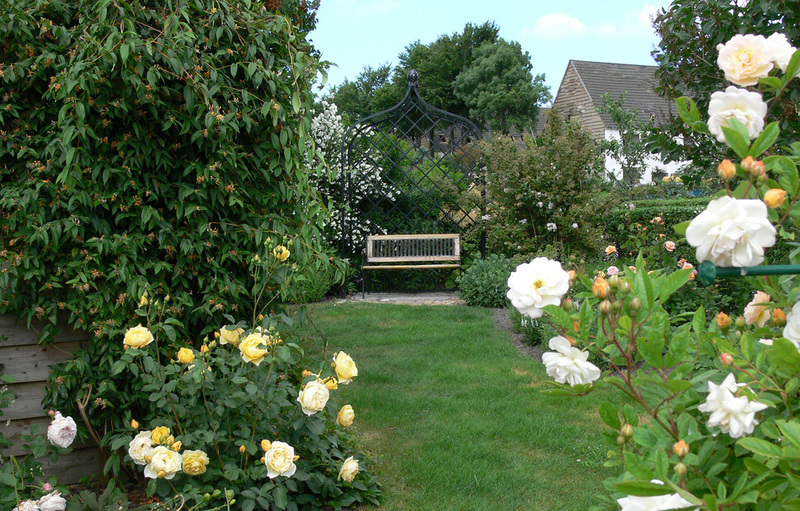 However, this is possible only in larger gardens, usually in the countryside. 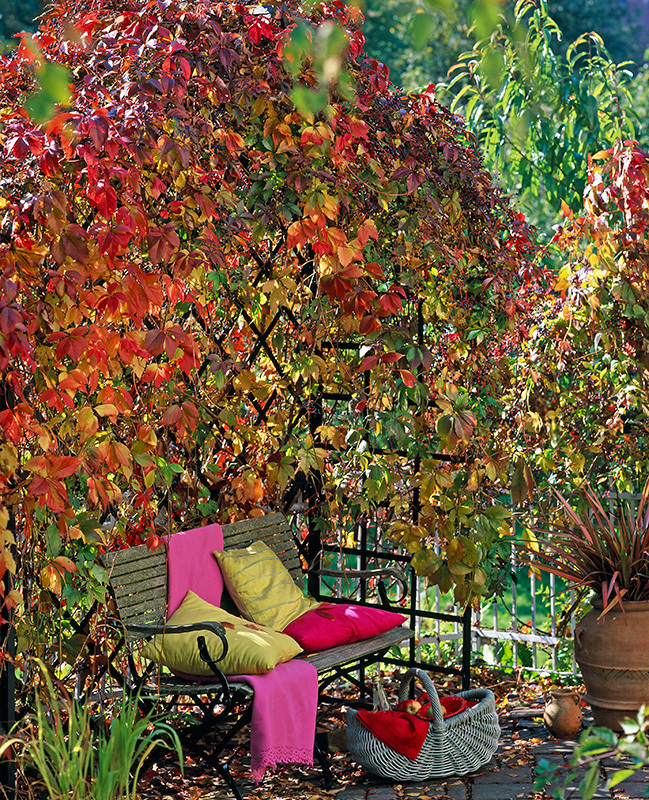 Owners of smaller urban gardens, where trees may be smaller if they exist all, will need to look for alternatives – a pergola perhaps, or a pavilion, an arcade or an arbour. 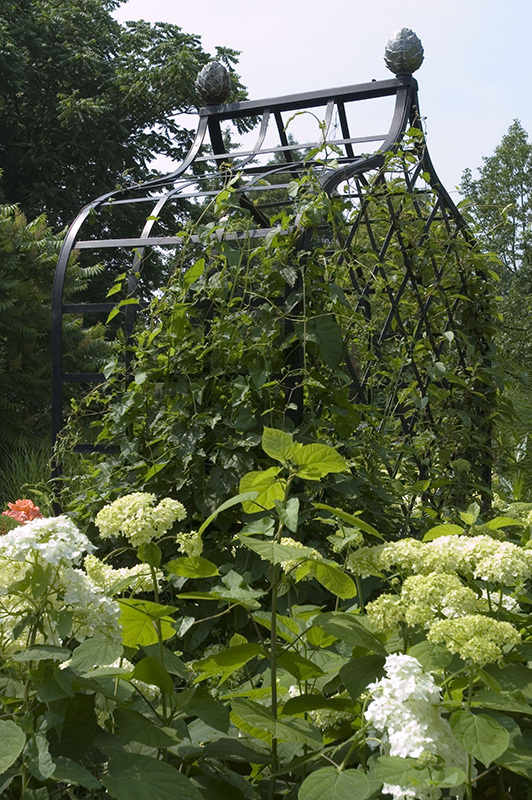 As well as being strong enough to bear the weight of fully-grown climbers and ramblers, these supports will also help to prevent the plants from becoming wild or unkempt. 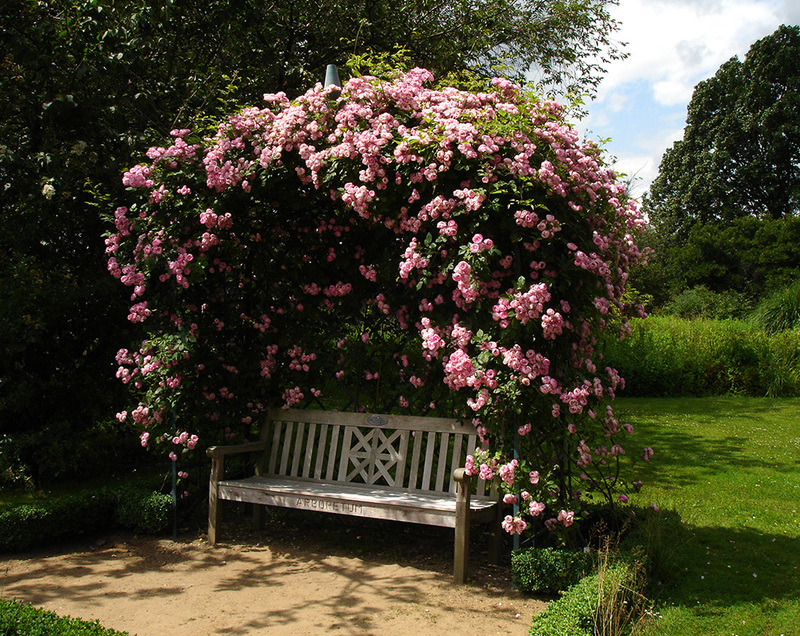 Once a year at least, it will be necessary to prune your climbing and rambling roses. 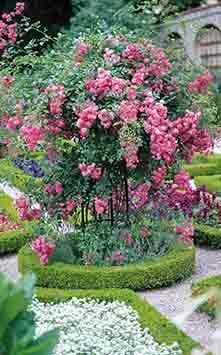 Now and then radical pruning will be necessary, not just to prevent the plants from taking over the garden, but also to give them an attractive shape. 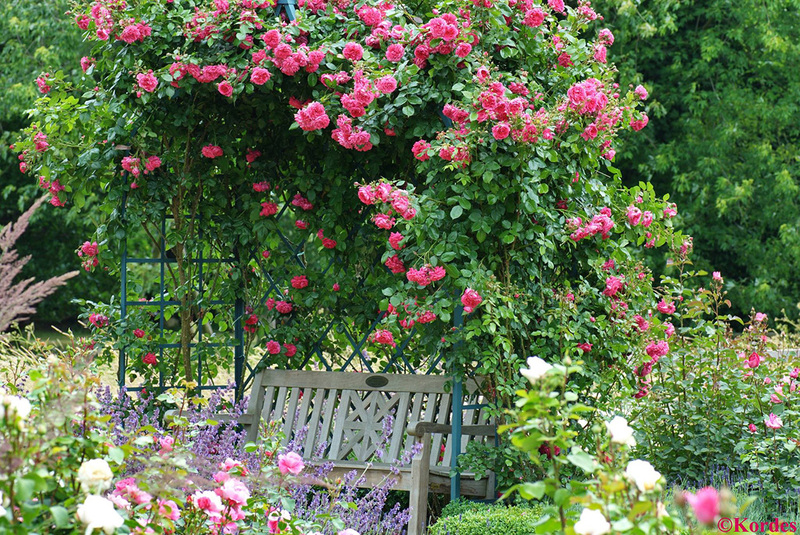 Likewise, the lines and contours of your plant support will help to determine the silhouette your roses create. 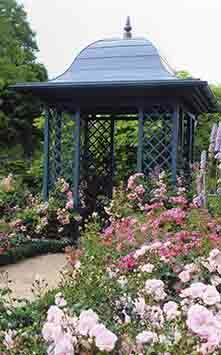 What adds, perhaps, to their fascination is the interplay between a metal frame – hard and unbending, sombre in color, designed by human hand – and the roses that grow on it – flexible and playful, colorful, a gift of nature. 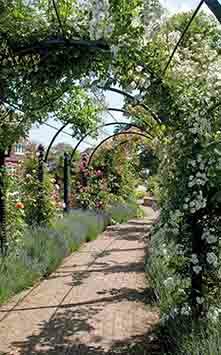 It is a contrast which speaks of the attraction of opposites, recalling the story of Adam and Eve, of the Garden of Eden, that very first garden which is still a paradigm for gardeners today. 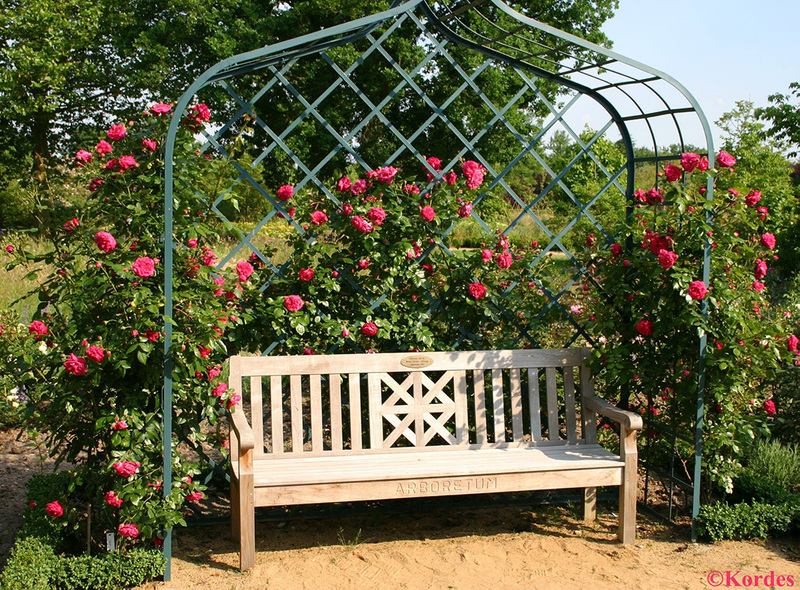 By choosing the Victorian Rose Arbour, you can add a hint of paradise to your garden, creating a peaceful space to withdraw to and relax. 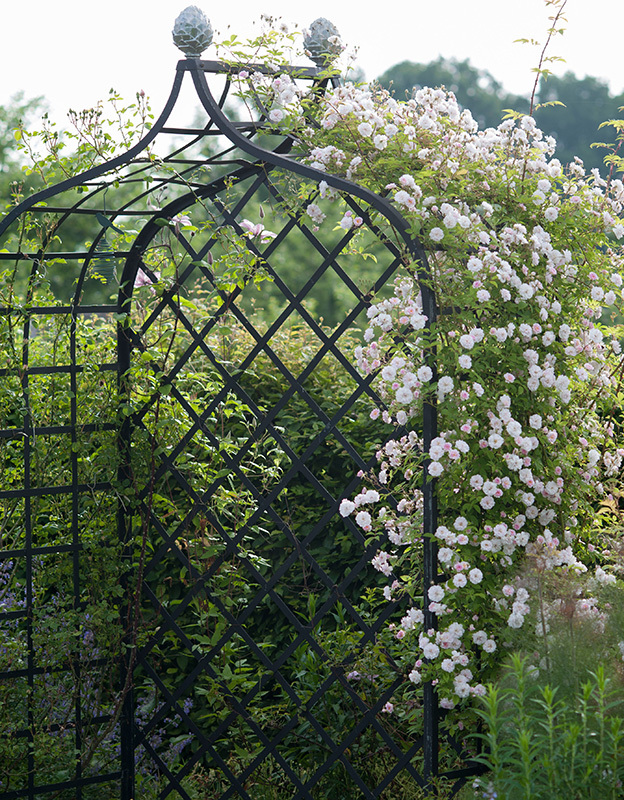 No less attractive, but inspired by the architecture of a different era, is our Romanesque Villandry Rose Arbour. 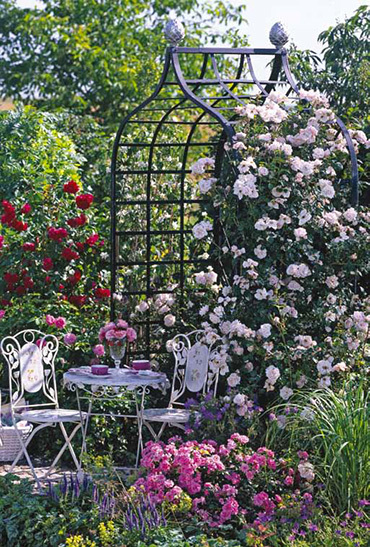 Whichever style you prefer, Classic Garden Elements has something for every taste.